Srinagar: The armies of India and Pakistan on Tuesday exchanged heavy gunfire for the fourth consecutive day along the LoC in Jammu and Kashmir’s Rajouri district. Reports said that Pakistan army violated the ceasefire prompting a befitting response from the Indian forces. Officials said the Pakistan army resorted to small arms firing along the LoC in Nowshera sector early Tuesday but there was no report of any casualty, officials said. 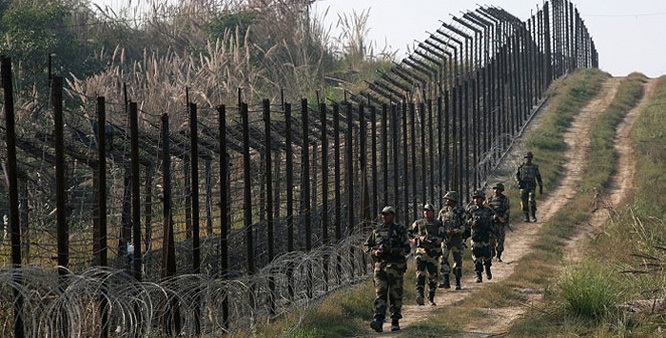 The Pakistani troops resorted to heavy mortar shelling in the forward areas along LoC in Nowshera late Monday night as well, inviting strong retaliation from the Indian forces, they said. The Pakistan army has resorted to firing and mortar shelling on forward posts and civilian areas along the LoC in Rajouri and Poonch districts on seven of the last eight days. At about 18.30 hours on Monday, Pakistan launched unprovoked ceasefire violation by firing small arms along the LoC in Nowshera sector.